Luxurious cabinets with soft amber lighting in private tasting room. Soft close shelves that are configured to meet your needs. Superior technology, A+ Energy Rating and 5 year Warranty. Build into kitchen to keep wine close at hand. Combine multiple cabinets to create a stunning wine wall. 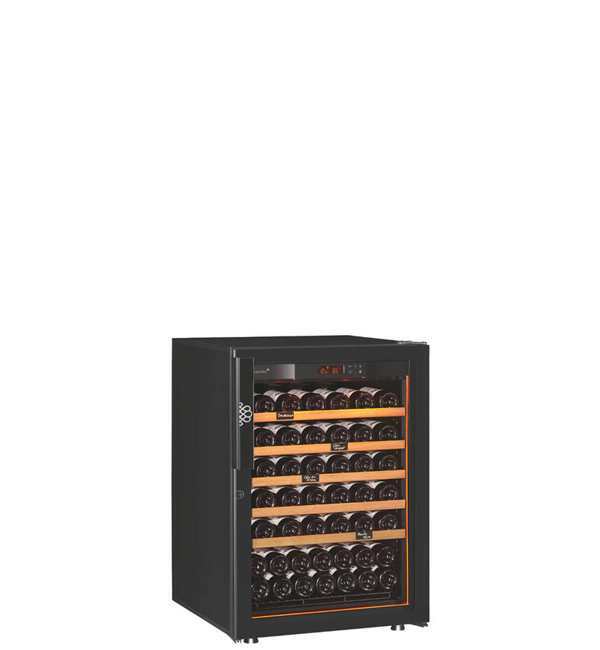 REVELATION Wine Cabinets are for the discerning collector who demands the ultimate in quality, design and features. These wine cabinets incorporate all the outstanding features of the Pure Range plus other exclusive, luxurious features making them a pleasure to use on every level. Soft close shelving ensures quiet, smooth handling and minimal vibration to protect your wine. Your choice of light oak or black gloss shelving facias. Black powder coated labels ensure that you can easily find the bottle you are looking for. Full cabinet lighting including side strips showcases wine bottles in beautiful soft amber light. Sleek touch screen control panel with temperature and humidity display, alarm and filter countdown. “A” Energy Rating means you cabinet is gentle on the environment and economical to run. Beautiful seamless glass door: double glazed, argon gas filled, UV protected. 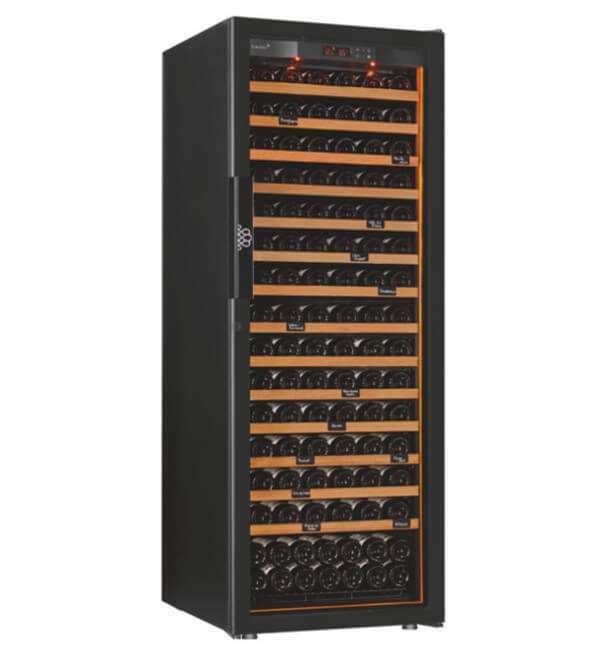 A choice of finishes and the ability to configure shelves to suit your wine collection. Unique “Main du Sommelier” supports accommodate various bottle sizes and deeper shelves avoid label scratching on larger bottles commonly used within Australia. Scratch Resistant, Impact Resistant, Abrasion Resistant, Heat Resistant, Easy to Clean.